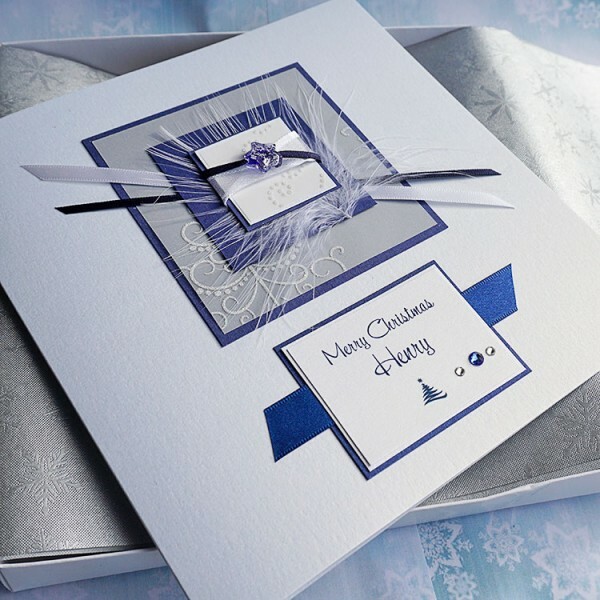 A luxurious card personalised for someone special, featuring a beautiful murano glass star. 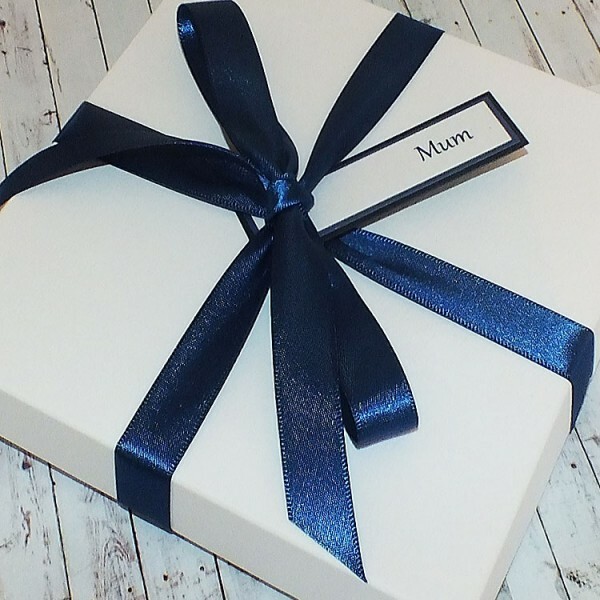 Embellished with Swarovski diamontes, lovely satin ribbons and luxurious patterned vellums. 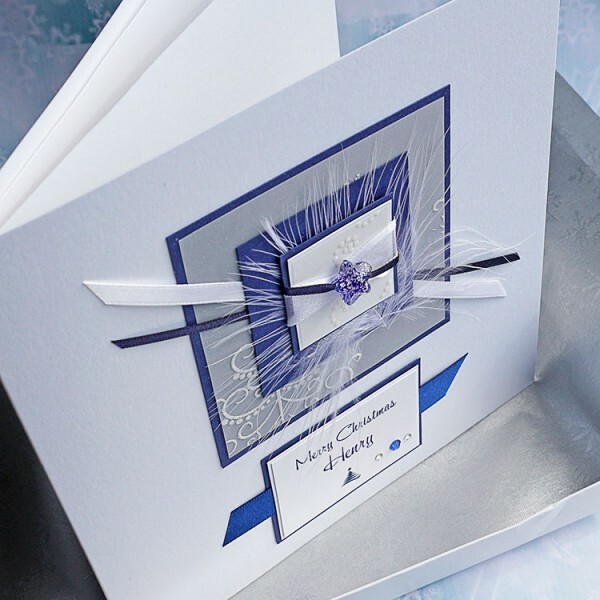 The personalised wording of your choice is mounted on blue sparkly cards and embellished with more crystals. 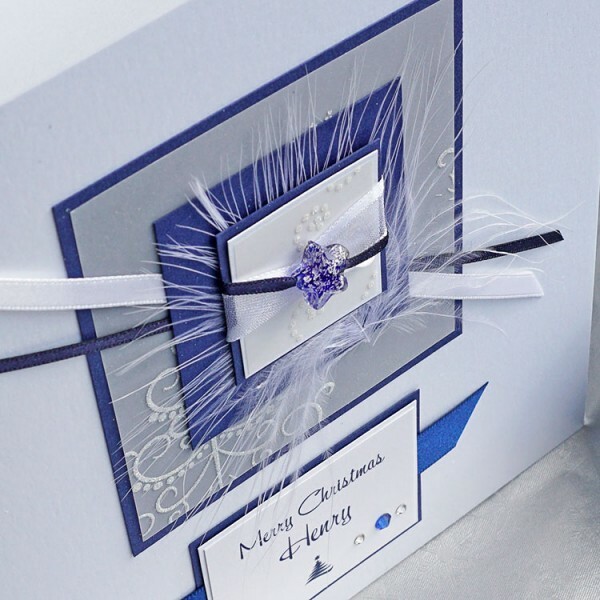 The design is created on a lovely white pearlescent card and comes with a matching pearlescent white insert and a matt white box, lined with tissue paper and wrapped with a satin ribbon. 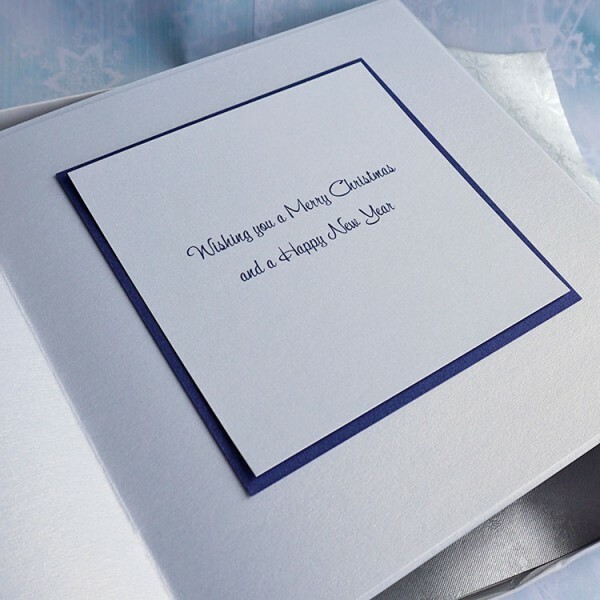 The card can be personalised for a special friend or relative, such as Brother, Sister, Nan & Grandad, Mum & Dad, Grandparents or could simply read 'Merry Christmas'. Please enter your own special message in the box when you order. 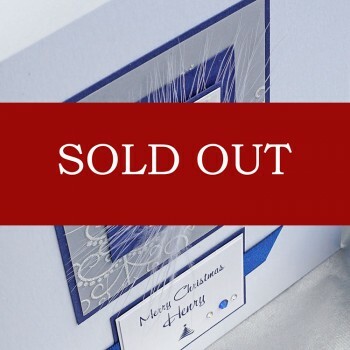 Luxury Christmas Card "Blue Murano Star"
Luxury handmade Christmas Card "Blue Murano Star" for Dad, Grandad, Son, Nephew etc A luxurio..